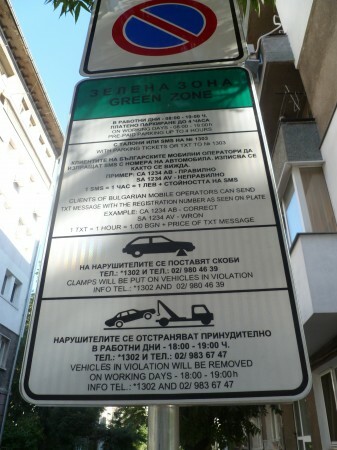 The new system of “Blue” and “Green” zones for parking in Sofia has come into effect, amid continuing controversy involving protests against the system and with the city council’s transport committee to hear proposals for changes to the ordinance on September 13. The system came into effect on September 1 but that day authorities issued only warnings, without penalties. Monday September 3 saw the system fully in effect. “Blue Zone” areas add up to about a third of the centre of Bulgaria’s capital city. The system is in effect from 8am to 7pm from Monday to Friday and up to 2pm on Saturday. Parking in a Blue Zone costs two leva (about a euro) an hour with a two-hour limit for parking. 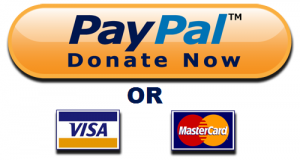 Payment made be made by sending an SMS to the number 1302. Parking in a Green Zone costs one lev an hour with a four-hour limit on parking. Payment made by sending an SMS to the number 1303. However, in the first hours of the system on September 3, the system of payment by text message malfunctioned. Motorists did not receive confirmation of payment. The municipality said that it was working on solving the problem, but did not say how long this would take. A system of parking vignettes for residents of housing in streets in blue and green zones is to enter into force on October 1. Until then, parking fees must be paid. Residents of Blue Zone parking areas must pay a fee of 150 leva a year and those living in Green Zones must pay 100 leva a year. In an interview with Bulgarian-language media, Sofia transport committee chairperson Radoslav Toshev said that consideration was being given to setting up a prepayment system, with payments per month, every three or every six months, which he said would deal with the problem of corporate customers and government and municipal agencies. Currently, the system of parking vignettes is based on cars being owned by individuals resident in a blue or green zone parking area.